Brierley+Partners is proud to announce that the company’s Executive Chairman, Founder and Chief Loyalty Architect Harold “Hal” M. Brierley has been awarded the prestigious Edward N. Mayer, Jr. Education Leadership Award from Marketing EDGE. Hal graciously accepted this honor for outstanding leadership in marketing education at the Marketing EDGE Annual Awards Dinner held Sunday, October 13 at the Palmer House in Chicago. According to Marketing EDGE, the Edward N. Mayer, Jr. Education Leadership Award is its “…most prominent award and this recognition honors individuals who demonstrate the highest level of personal commitment to help create effective programs, concepts, teaching methods, or materials for the instruction of college students or professors and executing impactful efforts to assist and promote Marketing EDGE’s mission and objectives.” This outstanding achievement marks Hal Brierley’s ongoing commitment to educating the future generations of marketing leaders. Brierley is a champion of Marketing EDGE’s programs and initiatives and currently serves on its Board of Trustees. Hal Brierley was presented with another prestigious honor in 2012, when he was inducted into the Direct Marketing Association’s Hall of Fame. The DMA’s Hall of Fame honors those who have made significant contributions to the marketing field. Professor John Deighton of Harvard Business School introduced Hal, lauding his “genius” and key role in shaping marketing, as we know it today. These two awards recognize Brierley’s contributions to as well as his distinguished career in the marketing field. His career began when he was a student. 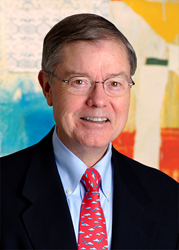 While at Harvard Business School in 1968, Hal co-founded and served as President and Chief Executive Officer of Epsilon Data Management, one of the nation’s leading database marketing companies. In 1980, Brierley was retained as the only outside consultant to work on the design of American Airlines AAdvantage®, the world’s first frequent flyer program. In 1982, he became Vice President of Sales and Advertising for Pan Am, where he launched WorldPass®, Pan Am’s frequent flyer program. In 1983, he was named Senior Vice President of Marketing for Continental Airlines. Recognized as the “father of loyalty,” Hal remains one of the most innovative and respected strategic thinkers in the field today. He founded Brierley+Partners in 1985 and has led the company through more than two decades of successful growth. He currently serves as the Chief Loyalty Architect. In 1999, he launched e-Rewards – which today is the world’s largest online research panel. Beyond Hal Brierley’s remarkable achievements in business, he also gives back to the community. He is deeply involved in Dallas, supporting the arts, education and medical research and serving on the Boards of the AT&T Performing Arts Center, Dallas Symphony, Dallas Opera, Dallas Arboretum, Baylor Health Care System Foundation and KERA-TV. Hal and his wife Diane Brierley have also underwritten the Principal Trumpet at the Dallas Symphony, the Resident Acting Company for the Dallas Theater Center, as well as the Giraffe, Warthog and Giants of the Savanna Exhibits at the Dallas Zoo. Brierley graduated with highest honors in chemical engineering from the University of Maryland, where he serves on its Foundation, and as a Baker Scholar with High Honors from Harvard Business School, where he serves on its Board of Dean’s Advisors and has underwritten a Chair in Marketing and, more recently, has endowed a fellowship. Brierley+Partners is a pioneer in Relationship Management® -- advancing loyalty and CRM for more than 25 years. The company has designed and implemented some of the world’s most successful loyalty and CRM programs for major clients: Express, GameStop, Hard Rock, Hertz, and Hilton to name a few. Brierley offers a complete suite of loyalty services: program design, loyalty/CRM technology, marketing strategy, research, analytics, creative, account management, email communications, interactive/print production and fulfillment. The industry-leading Brierley LoyaltyWare™ technology platform is uniquely robust, flexible and quick-to-market. All services focus on a single mission: Making clients’ customer relationships dramatically more profitable. Visit http://www.brierley.com for more information.